Gloryhammer will also be appearing at this year’s MetalDays Festival in Slovenia, alongside acts such as Benediction, Arkona, Nya, Bloodshot Dawn, Alestorm, Powerwolf, Ensiferum and many more. Kingdoms from the Tale of Fife was release on 29th March 2013 via Napalm Records and is available from all the usual retail outlets. Naturally, live albums sound much different than studio albums and give more of a sense of a band’s raw and natural talent. With the release of Decade of Glory live album, Russian folk/pagan metal band Arkona clearly shows a great deal of talent and musicianship. Each song off of this 3 disc live album is energetic and powerful in delivery. Arkona knows exactly how to captivate a crowd and keep them engaged with the show from start to finish. Each performance was unique, and each song sounded very close to the studio album versions. Vocalist Masha does a phenomenal job with her beautiful clean vocals and killer growls as well keeping the audience bouncing and energetic. The use of flutes and bagpipes also kept the energy of the entire performance up as well. I felt that time flew by while I listened to this album due to how immersed I felt while I was listening to it. Having seen Arkona live before myself, I felt like I was standing there amongst the other people in the crowd banging my head to the music. Generally, I’m not a fan of live albums only because I personally would rather be watching it live myself rather than listening to people who are there and actually enjoying the show. With Decade of Glory, however, it felt very realistic. The opening song Az’ gave me the chills you would typically feel while waiting for the main act of a concert to come out on stage. I give Arkona a ton of credit for being not only a great studio band but also a phenomenal live show, and if you ever get the chance, I highly recommend going and seeing this band play a show! Darkest Era has announced a very special late night performance at Ireland’s biggest metal club night, Dublin’s Club Poison, on Thursday September 20, 2012. 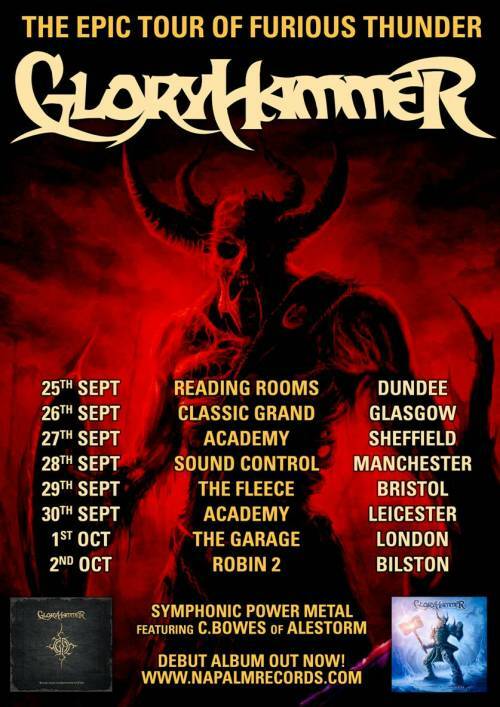 The show is as a warm-up for the band’s 16 date European tour with Russian Folk Metal titans Arkona which kicks off at the end of this month. Darkest Era’s first ever European Tour (supporting Arkona) kicks off in the Czech Republic on September 27, 2012 and will see the band play 16 shows in 10 countries. Club Poison is Ireland’s Biggest Metal night and takes place every Thursday at Andrew’s Lane Theatre, Dublin 2, between 10pm and 3am. Entry on September 10th is €5 before 11 and €7 after. Check Club Poison’s Facebook page for more info. For full Darkest Era tour listings, click here. 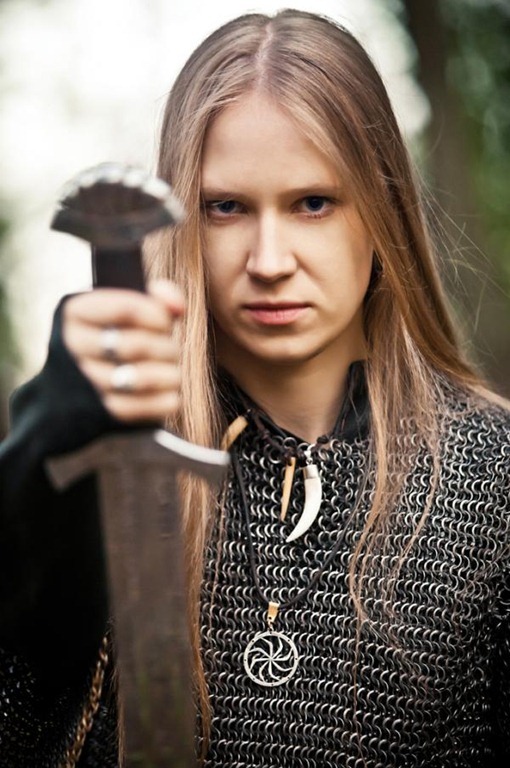 E-mail interview conducted with Masha of Arkona. Nico: As folk and pagan metal are getting more popular in the US, is there any chance you’ll be touring the US in the future? Or perhaps a South America tour? N: How do you feel heavy metal has developed since the days of the USSR? M: Heavy music in Russia was always not so strong as in EU or US. It have no evolution because of isolation of Russia from main music market. Now, situation is start to be normal, bands are having good instruments and possibility to make a good record. Local scene quite strong, especially in Russian heavy/power metal. Also, pagan and black metal are not weaker than in Europe. N: Do you feel that the new album [Slovo] differs from your previous releases? If so, how? M: Slovo – it’s completely new stage for us, which differs from Goi, Rode, Goi and from other albums of Arkona. Firstly, because we didn‘t set any stylistic frames. Those, who did not like the musical diversity of the two previous albums, will not like new album too, but it will bring those who appreciate us for our courage in the experiments. Our main goal was to create an atmosphere in the album, that even man, who is far from the pagan attitudes in the music, would love it and of course, as always, we wanted to do something new, something, which is not like our previous works. N: How are you feeling about the upcoming show with Turisas, Alestorm and Fintroll in London? M: We played in London in Paganfest tour 8th march 2010. It’s was a normal show with a lot of people and great support of fans. Those who knew our band, came especially for us. Also, I want to tell, that for us is very difficult to go for one show in UK, because we must get separate visa and we can’t go with normal Shengen cultural visa. So let’s speak about all after show, our agency is working on that, and we hope, that all will be ok! N: What would say is the song that defines Arkona as a band? M: We have no one musical conception, all songs absolutely different and it changes from album to album. That’s why it’s impossible to define Arkona with any song. N: If you could take the soundtrack from any film and replace it with your music, which film would you choose and why? M: This movie is “Rus Iznachalnaya”. It’s about campaign of Kniaz Oleg on Konstantinopol. It was created in the middle of 80’s and it’s one of the best movies about pre-christian Russia. We have a song with the same name from the 2005th album, which was created under impression of this movie. I think, If would be some remake, our song will fit the best for soundtrack. N: Where do you find the inspiration for your songs? Could an idea come to at anytime like when you’re in the street or at home relaxing? Or do you get the ideas in the studio? M: For me, any external emotional factor can force me to write something: the anger, sadness, beauty sunset, view of dead tree, watching the flight of an eagle … many, many things. All my songs were born spontaneously, but always under the influence of any factor. N: Are there any bands in the Russian metal scene that you’d recommend our readers to check out? 1: Your last album Goi, Rode, Goi! had a great deal of guest vocalists, will there be a similar spew of guest artists in the upcoming album, Slovo? M: Vocalist of Rarog band, Alexandra Sidorova – a student of the Moscow Conservatory. She told us that she can get enough students who would be interested to participate on our album. So we got a full professional choir (on Goi, Rode, Goi was only a female choir, male choirs was recorded by 2 people separately). 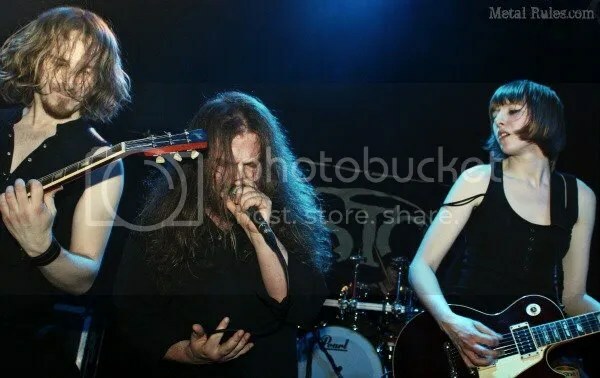 About guest vocalists on Goi, Rode, Goi – yes, we have more guests because of song „In my land“, where members of Skyforger, Mengir, Manegarm, Obtest, Heidevolk are sang their part on their languages. We have no idea like that on a new album, so we didn’t ask to sing vocalists from other bands. 2: In the past you’ve been known to depict Slavic mythology through your music, which Slavic gods or myths inspire you most? M: I’m not inspired by some myths. Of course, I know a lot of myths from childhood, but I’m not singing about it. In my songs I always show my respect to one of the faces of Rod – Veles. Veles – is God of wisdom and poetry. In Slavic mythology God is Rod – he is creator of the all World. All other Gods are his faces. 3: The Ep Stenka Na Stenku I heard is about a Russian group that’s known for its fist fights. Why did you select them? Have you had any run ins with them? Fist fighting – is ancient tradition, which is growing from the depths of the centuries. Now, it is going on Maslenitsa, before, it was dedicated to Perun’s day, Perun is God of war. It’s not just fighting, it’s a ritual fighting with special rules. Such an entertainment was believed to be good for strengthening the fighting spirit. 4: The new album will be released in two days, what can we anticipate from the new album? Are there any new ideas you’ve incorporated in this album? M: I already told, that Slovo is absolutely new stage for us. Songs and atmosphere on it is different that on other albums. We used many new instruments and recorded orchestra and choir. Album released more than one month ago, so I think you can hear all by yourself! 5: What did you enjoy most from recording the new album? M: Recording the album took six months, there were many difficult and controversial issues, also was a lot of interesting things. I had to travel a lot to record a lot of new musicians in different studios of Russia. The vocals on this album I recorded at home by myself, because I needed a full solitude to concentrate on my vocals. Mixing and the whole process of producing from beginning till the end was controlled by me. A lot of efforts we had to put into this album, but it’s part of me and I can say that all this work has brought me great satisfaction. 6: What do you plan on doing next? M: Now we will have neverending shows and first aim is to be alive after tours. I think, that I will create a new songs in future and in 2 years we will release our next album.